Women with Polycystic Ovary Syndrome (PCOS) often have infrequent menstrual periods that can lead to problems becoming pregnant. They can also suffer from excessive facial and body hair or acne. Weight gain and insulin resistance are also common in PCOS. Researchers have not yet found the cause of PCOS and currently available treatments for PCOS are not always effective in some women. It remains unclear why the ovaries malfunction in PCOS causing them to make extra male hormone, and preventing them from maturing and releasing eggs on a regular basis. Some researchers believe that insulin resistance leads to the abnormal ovarian function in PCOS. More recently, inflammation has been shown to be the cause of insulin resistance in humans. 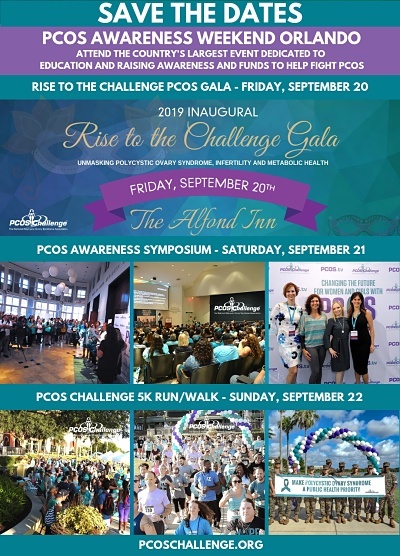 Research performed by Dr. Frank González has shown that certain nutrients such as sugars and fats trigger inflammation in women with PCOS, and that reducing inflammation with an aspirin-like medication called Salsalate lowered male hormone secretion from the ovaries, and improved ovulation in a small study of women with PCOS. Dr. González is now conducting a larger study to further assess the IMPACT OF SALSALATE on ovarian function in PCOS.